The Heat is the first true buddy cop movie in years! with Hollywood's hottest comedic star! McCarthy aside, what makes The Heat work so well is the freshness it brings to the buddy cop genre. Sure, we've seen a ton a buddy cop films throughout the years, although it feels like it’s been awhile, but we have never seen a true buddy cop film with two female leads. 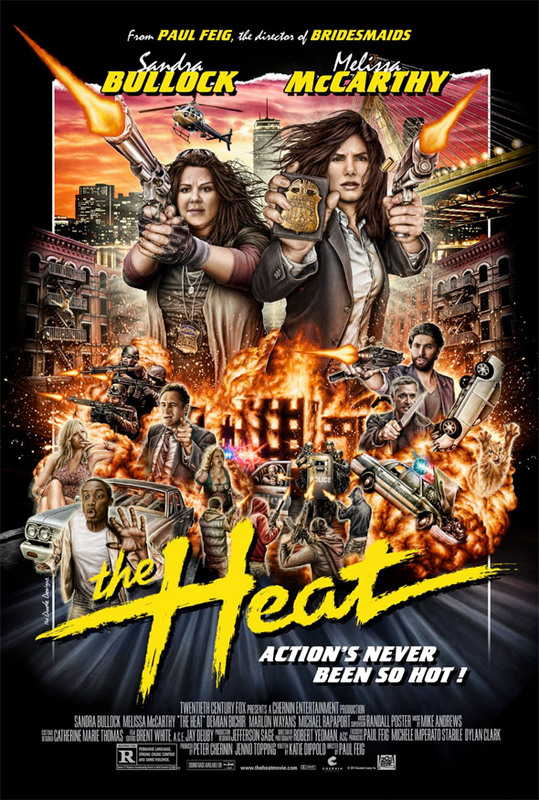 Despite what you thought heading into The Heat, the film is just as much a cop drama as it is a comedy. Director Paul Feig does a great job of balancing action, drama, and humor throughout the course of the film, ending up with a buddy cop film closer to Lethal Weapon than it is to Cop Out, which was pleasantly surprising. really captures that classic buddy cop feel the film portrays so well! After seeing The Heat I can’t imagine a better duo to headline the first female buddy cop film other than Sandra Bullock and Melissa McCarthy. Academy Award winner Sandra Bullock may be considered one of the best actresses of her time, and rightfully so. However once again, as she did over Jason Bateman in IdentityThief, Melissa McCarthy absolutely steals the show. 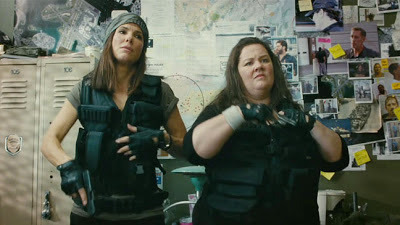 Make no mistake: The Heat is a Melissa McCarthy film! Making it all the more impressive is how McCarthy builds rapport with the beautiful and brilliant Bullock playing wittingly off her every line, while never being over shadowed by the Academy Award winning actress. Ultimately with The Heat, director Paul Feig has given us the first great buddy cop film in years. Even more impressive is that it was done with a hint of originality. As far as Melissa McCarthy is concerned, the funniest female lead Hollywood has seen in sometime looks like she has found her first franchise. Good review Bradley. The ladies are what keep this movie afloat and always funny.